The escalators were made in the 1930s. They were a novelty then and still are now, thanks to the rarity of wooden escalators. The beautiful woodwork is remarkably preserved, making this a real treat for anyone tired of the modern, more unsightly escalators that dominate pretty much everywhere else. 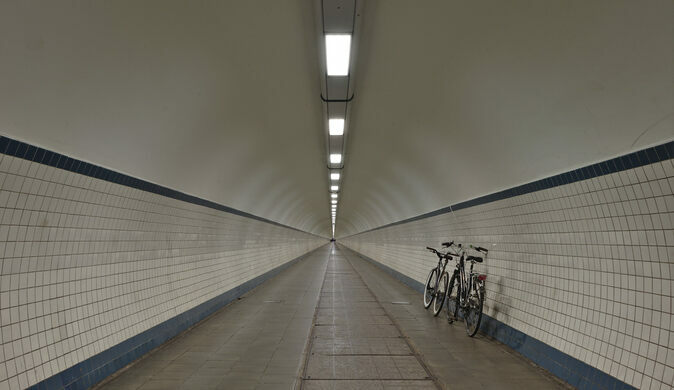 St. Anna’s Tunnel was built to connect the newer parts of Antwerp with the older portion of the city so locals wouldn’t have to rely on ferry service alone. Originally, plans were made to build a bridge over the river. But this would’ve gotten in the way of the many ships that cruise the waterway, so officials decided to build under rather than over it. 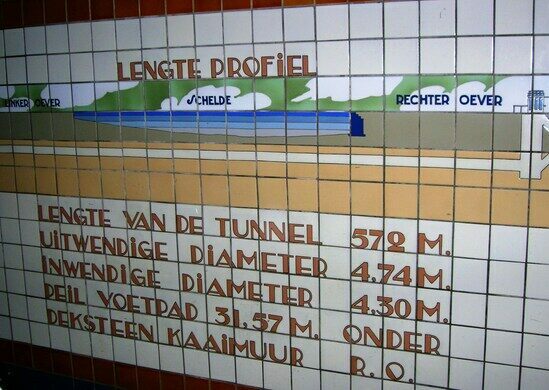 As with many European structures, the tunnel was badly damaged during World War II. 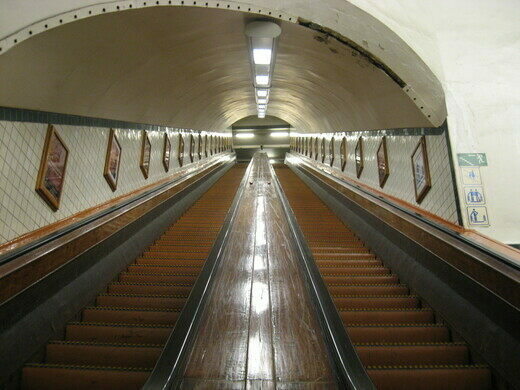 The passage has since been repaired, and it and its unusual escalators are still frequently used by pedestrians and cyclists as they go about their daily commutes. There's actually some nice places to discover at "Linkeroever," the other side of the Scheldt. Keep the river on your right, and follow the trail for about half a mile toward a small beach called Sint-Annastrand, that might even lose some of its grimness during summery days. And there's also a hilarious 6D cinema!